Impeccable design, expert engineering and handcraftsmanship have made the Maestro an industry leader. The Maestro is found in the most exclusive salons, resorts and spas worldwide, from Las Vegas to Dubai. Forget everything you know about pedicure spas. From a stunning original design to a new standard in quality and performance, The Maestro Pedicure Spa rewrites all the rules. 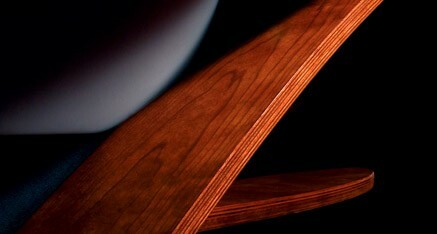 Curved cherry wood accents, a handcrafted basin, and premium components add durability and value. Unlike plastic 'look alike' footspas, The Maestro Pedicure Spa promises an alternative experience guaranteed to satisfy the most discriminating clientele. Set yourself apart with the new standard, choose The Maestro with confidence. Design - One word says it all, "WOW"
Clients enjoy an invigorating massage from two pipe-less jets. 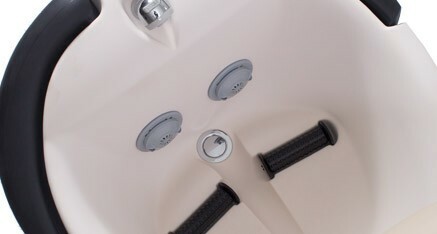 Continuum’s pipe-less system eliminates internal pipes, ensuring a safe and sanitary pedicure. 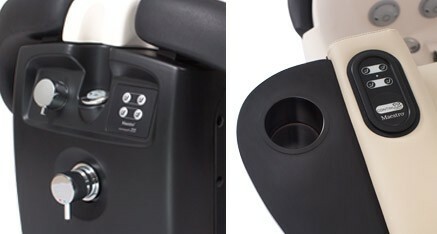 The whisper quiet jets also feature a one-twist removable cover that is exceptionally easy to clean and sanitize. AutoFill conveniently stops filling the basin once the proper water level is reached, providing overflow protection and your peace of mind. Innovation meets functionality. 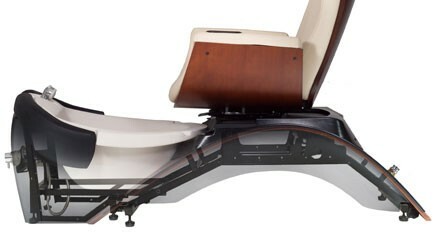 The Maestro Pedicure Spa's dual and independent leg supports pivot upward to support the entire leg, not just the foot. Feet are perfectly positioned for massage and pedicure treatments. Gone is the strenuous task of supporting the client’s leg with one hand while trying to work on the bottom of the foot with the other hand. Comfort for both client and technician are finally achieved. Beautiful finishes are an integral part on every Maestro Pedicure Spa. Whether it’s Formica, the globally recognized leader in the laminate industry, or genuine wood veneers (shown in photo), the Maestro finishes create a totally unique look. These wear, impact, water and chemical resistant finishes provide the Continuum arch with unmatched quality and durability. Custom finishes available upon request. 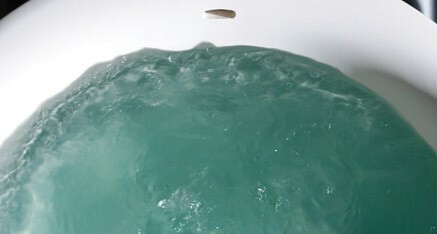 A defining feature of the Maestro Pedicure Spa is the finest, most durable basin available. Handcrafted from a solid surface material similar to Corian, it is chemical and crack resistant. The 5.5 gallon basin will look brand new year after year and is backed by a five (5) year warranty. This beautiful basin also features contoured footrests and removable foot massage rollers. At first glance, all you will notice is the finest looking seat on any pedicure spa but, it’s much more. 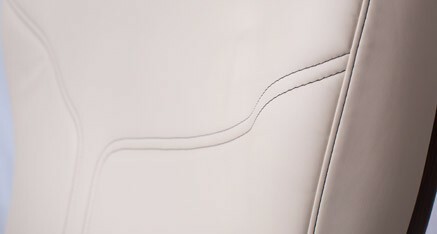 After making your upholstery selection, each Maestro seat is handmade in Milwaukee, Wisconsin utilizing the finest Ultra-Leather and decorative stitching. This process ensures consistent color and finish free of most imperfections. “Wow!” One word says it all. 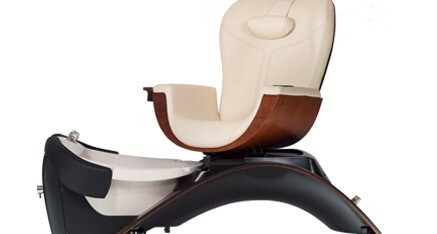 Continuum’s flagship pedicure spa continues to set the standard for high-end, luxury pedicure chairs. From the handcrafted solid surface basin to the hand cut and sewn upholstery, the Maestro Pedicure Spa is quite literally “a work of art.” The Maestro is craftsmanship and luxury at its finest.